Starting a court case is a serious step which should only be taken as a last resort. Anyone considering starting a claim should first satisfy themselves that they have already done everything they reasonably can to settle their dispute. The time and expense involved in a court case can be considerable and there are never any guarantees about the outcome. Making a claim should be done after careful consideration – not in a fit of temper or to “get back” at someone. It can be very difficult for two people to communicate properly – especially if both sides are sure that they are in the right. Communication with large organisations can be particularly difficult: having to go through call centres; talking to a different person each time; never getting through to someone who has the power or ability to make a decision based on the individual circumstances of a case. If there is any chance of having a reasonable, polite conversation with the other party – where both sides can explain their position – it may be possible to arrive at a compromise with which everyone is happy. Lawyers often manage to agree the settlement of a case because of their ability to communicate calmly and dispassionately with the other side. Before starting a claim it may be helpful to consider what is really important about the dispute. What is the best outcome and what would be acceptable? A case might be about a matter of principal or just about getting paid for a job. Try to think about the case from the other side’s point of view – what do they want to get out of it and what do they have to lose if the case goes to court? It may make sense to concede some points in order to achieve what really matters. If negotiating with the other side before going to court it is vital to consider how any correspondence could be used by the other party to support their case. A letter or email can easily be put in evidence if a case goes to trial. Parties must be very careful about making concessions – especially about the weakness of their case – which could come back to haunt them in court. Negotiations might seem friendly enough and people may get lulled into a false sense of security. One way to avoid correspondence being used as evidence is to clearly label it: Without Prejudice. If a letter forms part of a genuine attempt to settle a dispute and is headed “Without Prejudice” it should not subsequently be used by either party at a court hearing. For example, if a claimant had offered to accept a lower amount than they subsequently make a claim for, the other side cannot use the letter as evidence that the claimant’s case is overstated. If a letter is headed Without Prejudice Save as to Costs this means that it should not be used unless and until the court has to make a decision about costs. For example, a claimant has just won a case based on unpaid invoices. Although the claimant was asking for £8000, the judge will only enter judgment for £4000 because he decided that the amount claimed included unfair charges. During negotiations the defendant had offered to pay £5500 to settle the claim in a letter marked “without prejudice save as to costs”. Therefore, the claimant would have got more if they had accepted the offer. After judgment has been entered the defendant’s lawyer shows the judge the letter. Because of this the judge decides to substantially reduce the costs he would otherwise have allowed the claimant to recover – on the basis that the court proceedings were unnecessary. 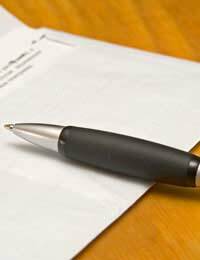 The final step before starting a claim should be to send the other a side a “letter before action”. This is a letter which gives the other side a last chance to settle the claim before court action is started. It is usual to give the other side a reasonable period to take the required step, such as paying the debt, which is often 7 days. The letter should state that, if payment is not made within the stipulated period, a court case will be started without further warning. (This does not mean that a court case has to be started immediately after the period has ended, or at all.) A cold, calm statement of a settled intention to start a claim may be enough to make the other side, finally, see sense. @jikoo - please see the CAB leaflet; 'product or service has been mis-sold to you', here. You definitely have rights to request a refund and I would also contact Trading Standards to report this mis-sale. If you do not get a refund, you need to take it to court, keeping the car advertisement as proof. I hope this helps. @jikoo - one for the small claims court? He doesn't sound like a very reputable dealer. Make sure you keep the advert stating this as a different year. You should also be able to go back to him and ask for a refund if it has been mis-sold. I recently bought a car, one week ago, which clearly stated in the advertisement that it was a 2001 model. All documents I was shown when viewing it did not lead me to suspect otherwise. However, when trying to insure the vehicle the insurer told me that that it was in fact five years older than what the garage informed me or advertised. The car at the time of purchase had a private number plate which was not being sold with it. I agreed to that. The dealer kept the registration document to forward to the DVLA as is required by law. He said I could drive and use the car with the private plate and that I would be insured under the garages policy. The car had 5 weeks tax still to run and it was offered to me that I would be able to use the vehicle until then and that he would delay in sending the registration document to allow me to do so. Two days later I got from the dealer the original registration document through the post which was a surprise and puzzling. I know from experience that these documents can take up to 2 weeks or more to come from the DVLA. Which led me to believe that the dealer had them at the time of selling the vehicle but did not wish me to see them. The reason being is that they had they original number plate designation on them and this pertained to the car being made five years earlier than stated in the advert. Confirmation of this came from the insurance company.When buying this model of car I did not want one older that the year 2000 and would never have purchasedit had I known it was in fact a 1996 model, and for which I paid that much extra. If I had wanted to purchase a vehicle of that age I would certainly not paid what I did.